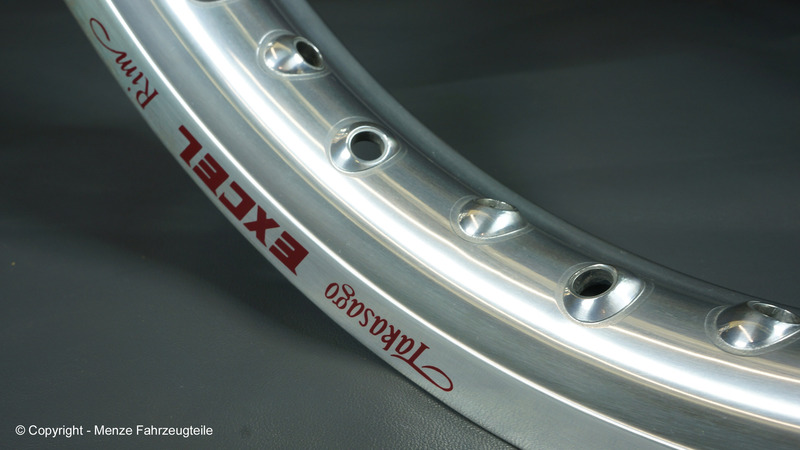 The japanese Excel rims are the motorcycle rims for professionals and also endure extreme demands of motorsport. With these excellent processed rims, championships were won. However, quality has its price and long delivery times make it sometimes not easy. We always try to stock enough dimensions for you. These rims are also found in the original equipment of motorcycle manufacturers.These Excel rims are anodized and generally undrilled. There are many colours to choose from.